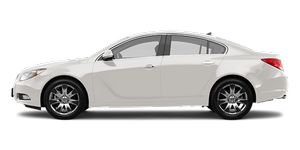 As the owner of a new Buick, you are automatically enrolled in the Roadside Assistance program. See Roadside Assistance Program for more information. If you have an active OnStar subscription, press the button and the current GPS location will be sent to an OnStar Advisor who will assess your problem, contact Roadside Assistance, and relay your exact location to get the help you need. The Online Owner Center is a complimentary service that includes online service reminders, vehicle maintenance tips, online owner manual, special privileges, and more.